Would you like you have a romantic evening under the stars with your spouse? Or perhaps you want to include the whole family for game night outdoors! An outdoor kitchen is a great way to enjoy your outdoor space, as it’s both functional, and affordable. Grill steak kabobs on your outdoor kitchen while you stay warm by the fire. Use your outdoor kitchen for some serious family fun! 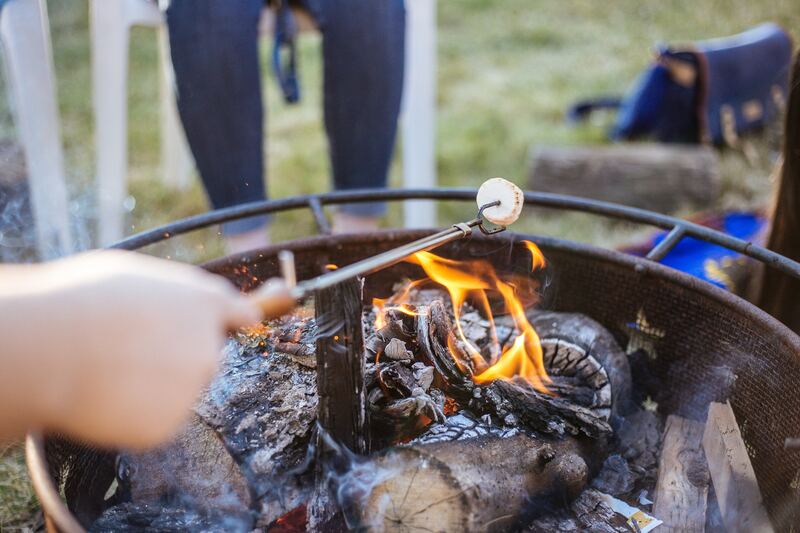 Hand over some skewers and marshmallows for your kids to make s’mores, and turn your backyard into a camping extravaganza. Spending hours enjoying family night (without ever having to leave your backyard) has never been easier. Add twinkling lights or a firepit for an extra bit of ambiance. Do you have a small backyard you can’t do anything with? Does your outdoor space feel too open, or exposed? Cypress Lawn and Landscaping offers personalized landscape design, giving your backyard an elegant ambiance. Interested in adding something special to your outdoor space? A pergola allows you to determine how much shade and sun you want, giving you the perfect combination of each. Pergolas are a more affordable choice than a free standing patio, but can allow you to maximize your outdoor space in the same way a patio can! At Cypress Lawn and Landscaping, it’s never been easier to transform your backyard into a practical, and elegant place to be. Gazebos are low maintenance, and versatile. There’s nothing better than relaxing in your backyard, so why not make it the most enjoyable you can? A gazebo is easy to clean, simple to move, and adds an elegant feel to your outdoor space! Gazebos are also an great ‘social’ addition to your backyard get-togethers! Shield your guest from rain or too much sun, so the party can go on without the interruption of Mother Nature. Designing the perfect outdoor space doesn’t have to be tricky, complicated, or expensive. We can create a beautiful outdoor kitchen and design a space for a gazebo or pergola–which is perfect for entertaining guests, or enjoying by yourself! If you are interested in transforming an outdoor space perfect for your home, reach out to us today for a free estimate! This entry was posted in Landscape Services, Lawn Care Services and tagged landscaping, outdoor living, outdoor space, residential landscapoing, winter landscaping by admin. Bookmark the permalink.